When a Windows Mobile or CE device is connected to a PC, Windows Mobile Device Center is the component that allows the device to communicate with Windows, and then to Wasp's various components, for AssetCloud, InventoryCloud, InventoryControl, MobileAsset, PackageTracker, CountIt, etc. There are a couple of connection settings that may need to be adjusted for successful connections. a. allows the mobile device to contact a wireless network while plugged into the PC. b. enables WMDC's virtual network connection over the cable. The PC shows an additional IP address of 169.254.2.2 as seen in IPCONFIG output, and the device is assigned the IP address of 169.254.2.1.
a. 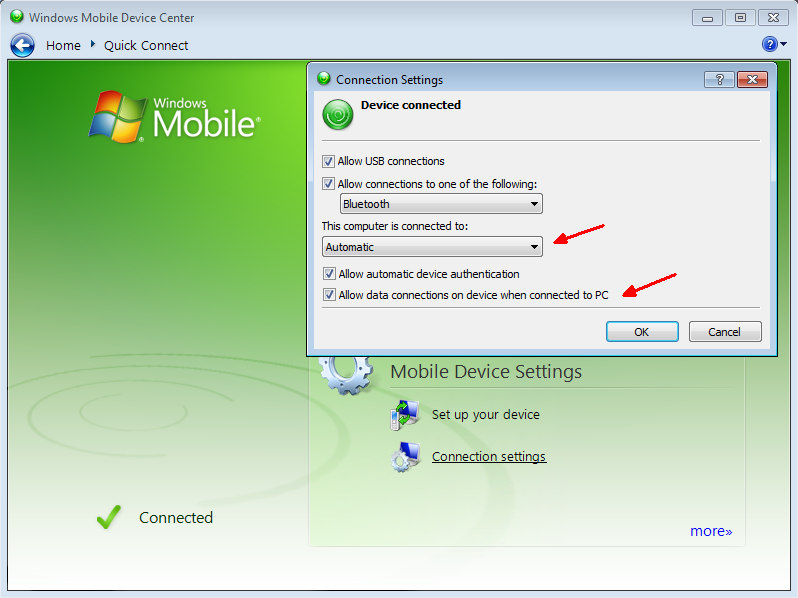 Change WMDC's Automatic setting to Work Network to prevent the automatic push to the mobile device. Windows Mobile: Start, Settings, Connections, Connections, Edit my proxy server. 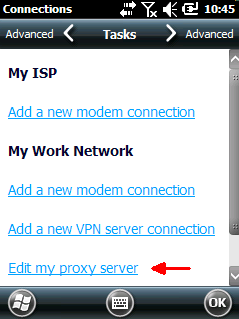 Just in case, mark down the value in the "Proxy server:" field. 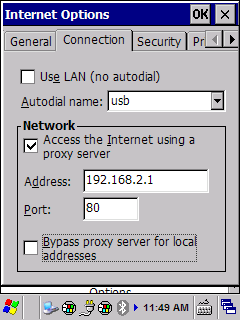 Uncheck the box for "This network uses a proxy server to connect to the Internet", OK, OK.
Windows CE: Start, Settings, Control Panel, Internet Options, Connections tab. Just in case, mark down the values in the Address and Port fields. 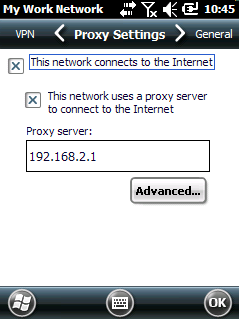 Uncheck the box for "Access the Internet using a proxy server", OK.